Save time and money with our flood barriers and remedial solutions. Say goodbye to sandbags and hello to our range of flood solutions to save time and resource to protect your property against flood. 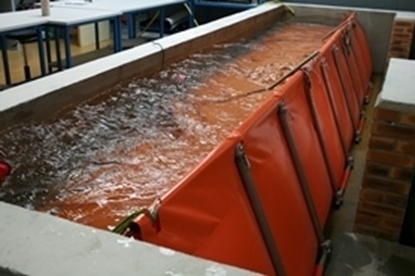 We have a range of temporary flood barriers to deflect flood waters, to protect against tidal and flood surge and for passive water flood protection. Our flood barriers are quick and easy to install and afterwards can be stored away ready for next time. We also offer a full range of equipment for flood remediation, which includes our world renowned vacuum recovery system as well as storage tanks. With 50 years of UK manufacture and supplying environmental solutions worldwide, you can rely on Vikoma or your flood solutions. 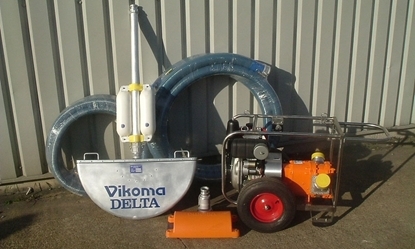 Vikoma offer a range of pumps for many different purposes. The majority of pumps used for hydrocarbon transfer are lobe or impeller pumps, however other varieties such as spate, centrifugal, diaphragm or screw are available upon request. Space efficient container and trailer solutions for easy storage and transportation to the flood. We offer a range of standard containerised solutions or can bespoke the contents to meet your requirements. Keep everything packaged in a neat, secure container to ensure everything is in one place when you need it. Flood D-Fence is a temporary barrier system for protecting against floods. With its unique design this barrier can be supplied in a range of sizes. There are various options to cater for a wide range of surfaces and environments.The barrier can be adapted to suit logistical challenges and bespoke options can be supplied. 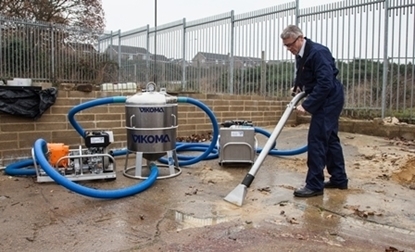 The Vikoma Mini-Vac system is a portable market leading, operator friendly vacuum system ideally suited to flood remediation enabling operators to recover and clean up flood water, debris and residue no matter how isolated and difficult to access. It is also suited to oil spill clean-up. 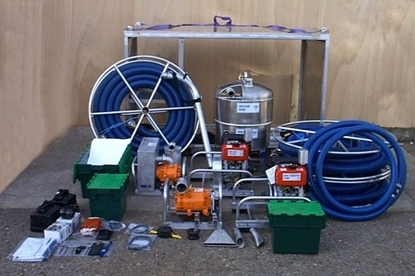 All parts of the system can be transported by hand and easily re-assembled on site with no specialist tools required. Ideal for inside homes or buildings; outside in yards, gardens, pathways and areas vacuum trucks can not reach. 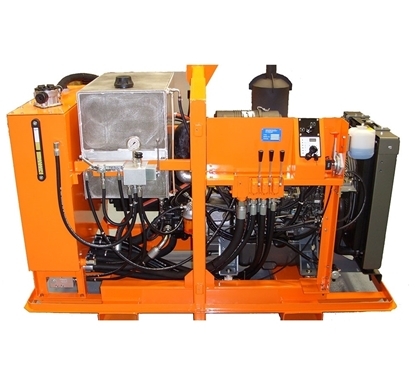 Mini-Vac is a multi-purpose vacuum recovery system with a market leading design, resulting in its use in all corners of the globe in many applications including flood remediation and oil spills. Vikoma's flood barrier, Flood GuardianTM , is a water and air filled temporary barrier ideally suited to protection from flood. It can be attached to structures such as building entrances or around assets. A unique, easy anchoring system which is quick and easy to install and pack away post flood for use next time. It is self-supporting and frame free. 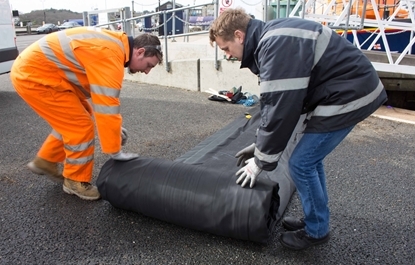 Save time and money compared to sandbags with our re-useable flood barrier manufactured from strong, durable neoprene. Flood GuardianTM construction is based on one of our most popular, tried and tested designs and can also be used for keeping oil, pollution or debris from beaches. The flood barrier comes in a range of sizes from 500mm high to 1000mm. It is manufactured in strong, flexible neoprene for a long life which keeps your cost and the environmental cost to a minimum. 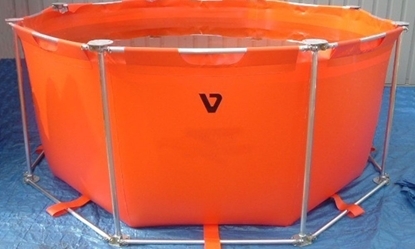 The Star Tank is a temporary storage tank supported by an external tubular frame. It is available in either neoprene or polyurethane material. 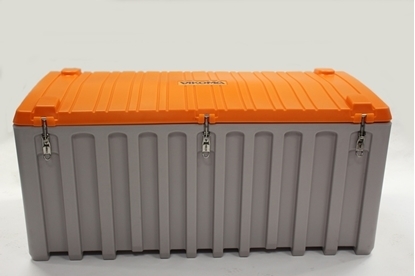 The frame is constructed from robust marine grade aluminium tubing, which joins together using quick connecting couplings. Star Tanks are typically used in oil recovery, oil/water separation, effluent containment, fire fighting, pressure washing and general water storage situations.